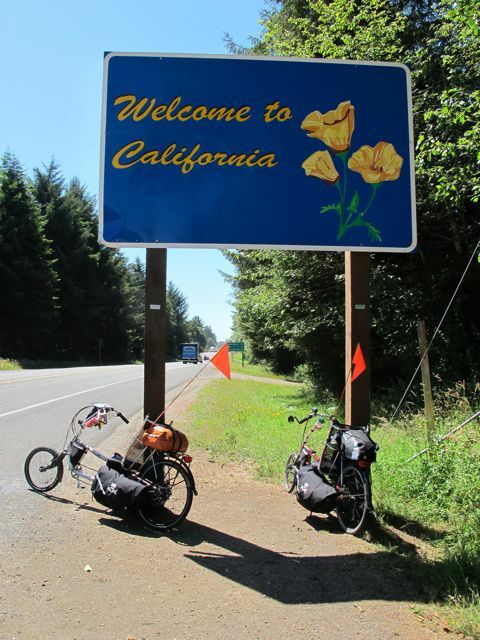 Day 22: Brookings, OR to Crescent City, CA! We said goodbye and good luck to the family this morning, and then headed for the California border. It was a relatively flat day. We met some workers at a county beach park just north of Crescent City who had spent the last week cleaning up the park from the tsunami on March 11, 2011. The tsunami did major damage to the harbor in Crescent City. In fact, the man camping next to us (Alex, who has a cute boxer named Tara) was in Crescent City to help rebuild the harbor. He’s in construction and has a difficult time finding work but has recently taken to “following the disasters” for work.